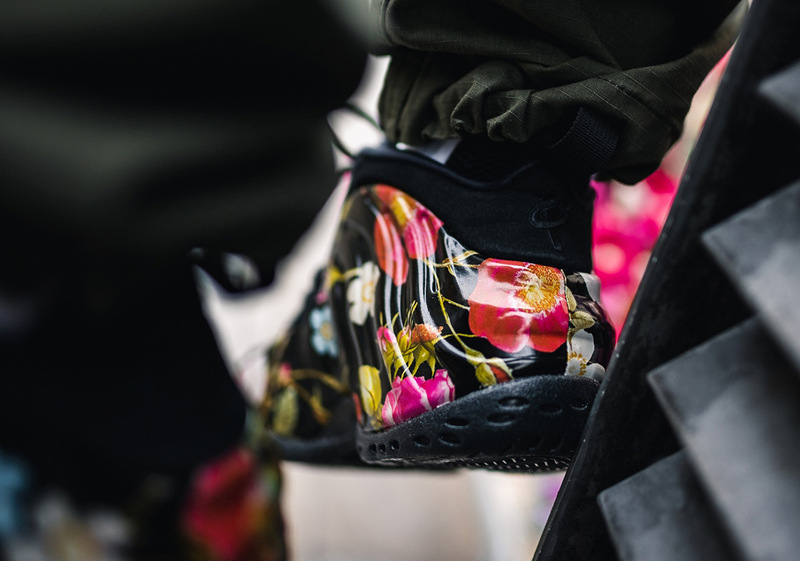 One of Nike’s more extensive All-Star Weekend selections is set to release on Valentine’s Day and equips a striking floral graphic all throughout the uppers of its participants, including both on-court and lifestyle pieces of footwear. 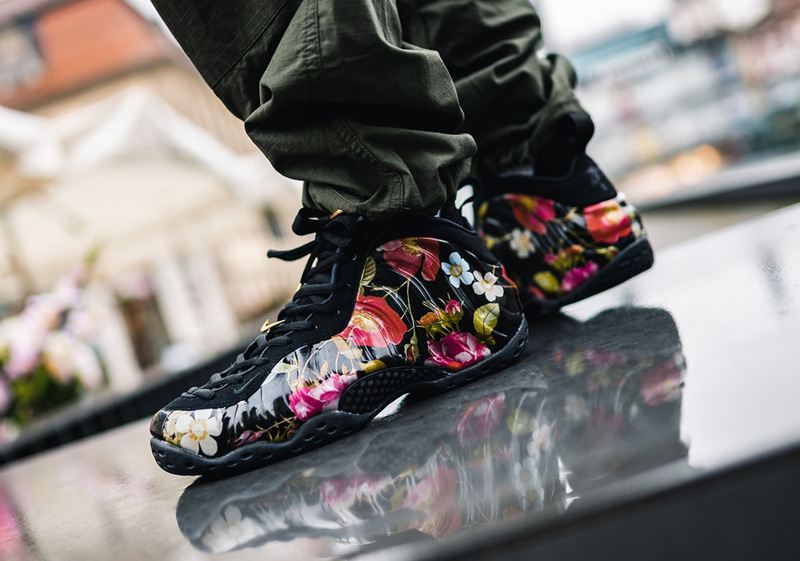 One of the arguable heroes from that capsule – the Nike Air Foamposite One – has spent its entire life both on the court and in the lifestyle circuit, garnering formidable acclaim amongst numerous retro Swoosh fanatics, primarily in the DMV area. For All-Star, its newest kit combines budding roses, colorful daisies, and an array of leafy greenery surrounded by a contrasting black shade with touches of Metallic Gold for a premium vibe on its lace aglets and on a new-look Swoosh pin of sorts that comes attached to its throat. 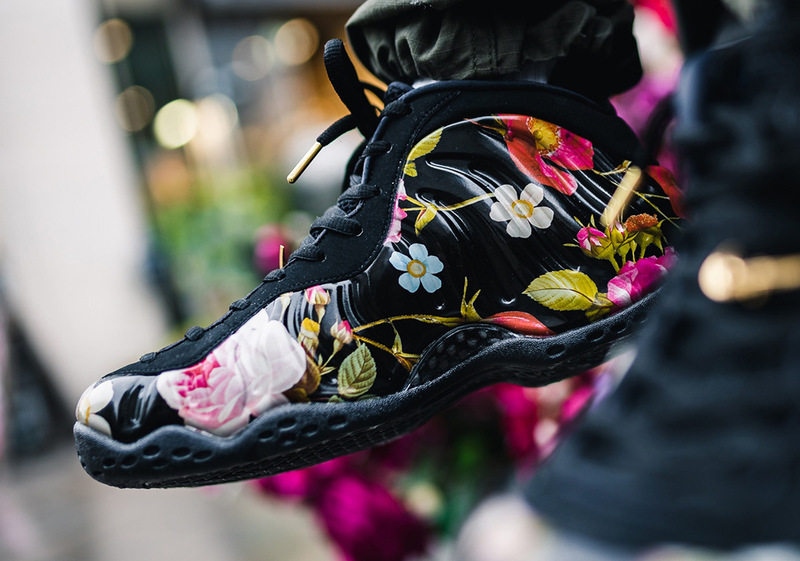 Enjoy a detailed look at the newest member of the Foam family below as well as a set of store links to help you grab a pair come their February 14th drop.